Large rustic style wooden A-frame shelving unit. 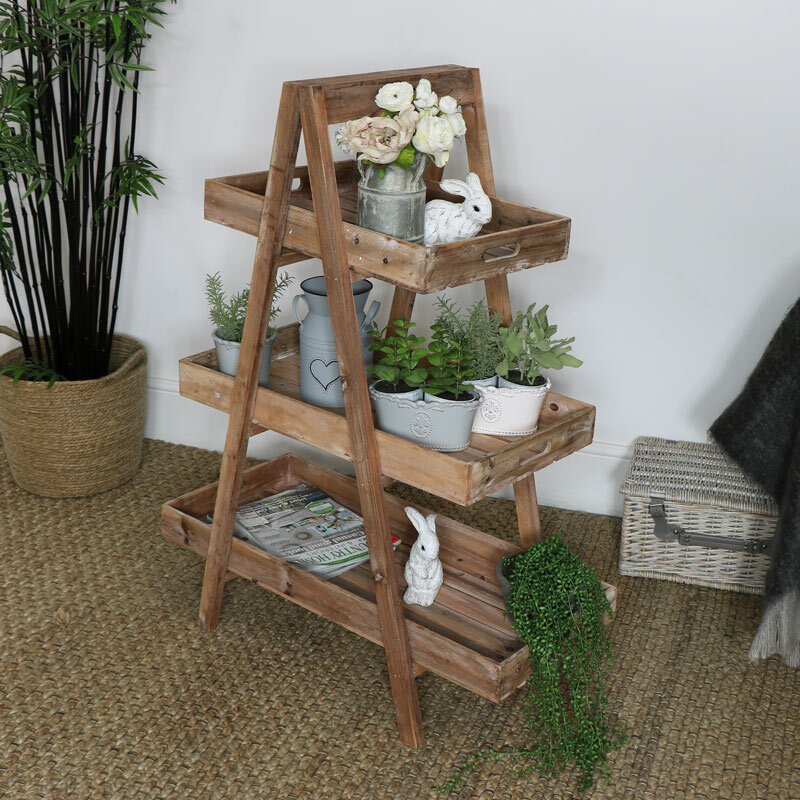 Removeable trays make this perfect for displaying plants, flowers or ornaments. The unit folds flat for easy storage. 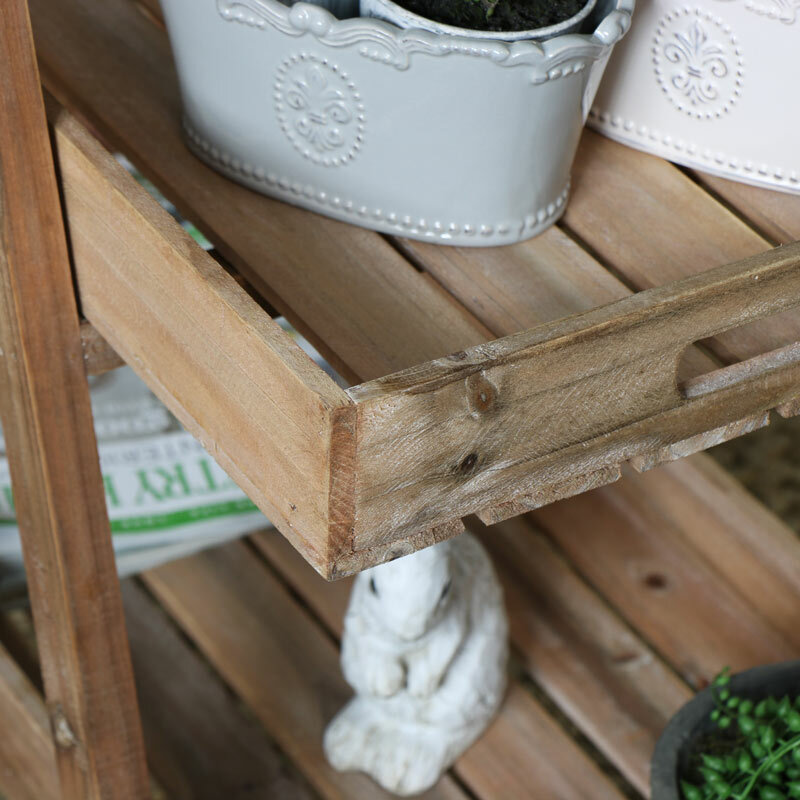 The tray shelves come in 3 different sizes, each with handles for easy carrying. 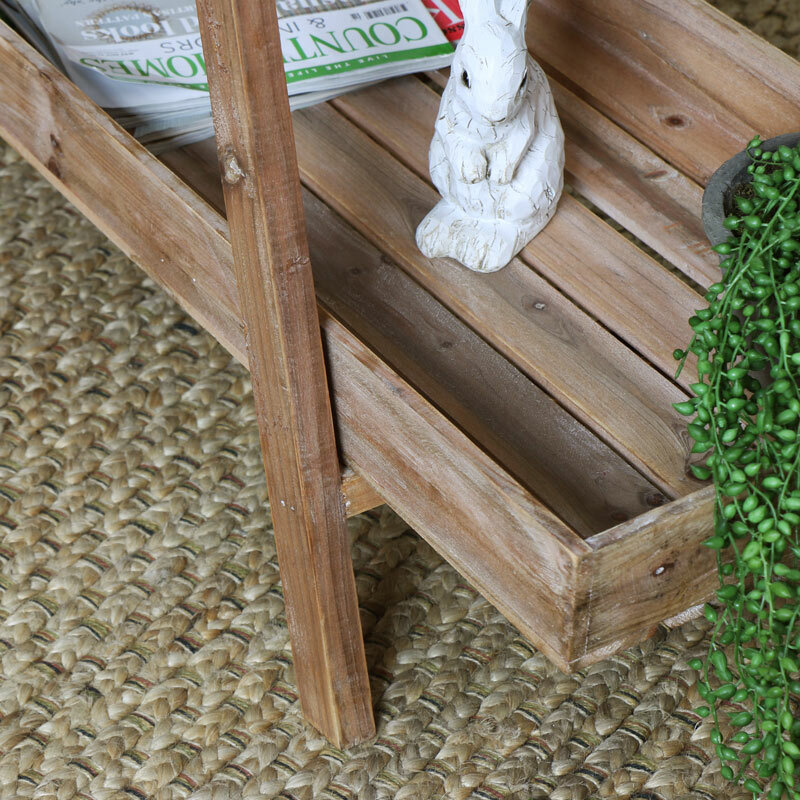 This would look perfect in a little potting shed or just what you need to adding a quirky look to your home decor. Practical and stylish solution for any home. We have the best selection of furniture, gifts and home accessories. Pick the perfect gift for friends and family or give your home a refreshing new look.